E-scooters have been on the streets of Boise for a few months now, and they’ve started to be a regular part of everyday transit – particularly in the areas around Downtown. 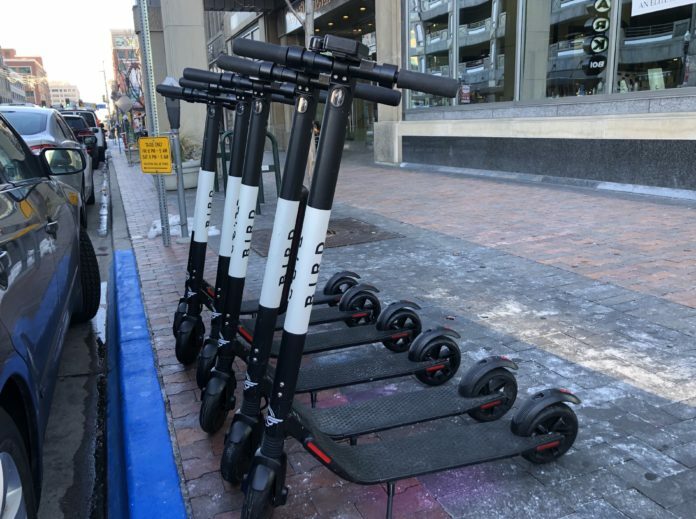 While the City of Meridian had a bumpy launch and pulled the scooters from the streets, the Bird and Lime scooters continue to hum a long in Boise. There’s still a bit of confusion among people on all transit modes, so here’s a few questions and answers. Will the Birds fly south for the winter? Will the Limes seek warmer climates? With snow and ice on the ground, some folks are wondering if the scooters will disappear from city streets in the winter. So far, the flock of Birds and bushel of Limes are still on the streets. Bird told Westword Denver that it has been working to “ruggedize” its fleet for wintry weather. Lime wouldn’t comment. Attempts to reach Lime were not fruitful. Riding on the slush or ice is tricky since the wheels aren’t exactly studded. Can you ride in the road? How about on the sidewalk? Disclosure: This story was prompted after I was accosted by a driver and told it wasn’t legal to ride the scooters in the roads without a bike route. This misguided (and loud) driver has his facts scrambled. The City of Boise outlines where you can ride the scooters: Streets, sidewalks, crosswalks, in bike lanes and on the Boise River Greenbelt. Basically anywhere either a pedestrian or driver can be, so can a scooter – with a few exceptions: Parts of the Boise State campus, Boise skate parks, the Idaho State Capitol campus, and Kathryn Albertson Park. “As with all modes of transportation, please obey traffic laws and be mindful of obstructions, pedestrians, motorists and bicyclists,” the City of Boise’s website reminds. It also notes you must follow regular traffic laws. Think you can just download the app and fly? There are a few things you need to start: your smartphone naturally, a credit card for payment – and your driver’s license. You will scan the license to prove you are over 18. It’s a one-time process and off you go. Bird just cut its rate to match Lime: $1 to start and $0.15 per minute. You can also “pause” a ride so if you need to run in somewhere really quick, the scooter stays reserved and someone else can’t ride it away. You continue to pay the $0.15 per minute while the scooter sits idle. Have you seen two people riding one of the scooters at the same time? That is against both Lime and Bird’s terms of service (plus, it’s kinda dangerous). Also, if you ride recklessly, Boise Police could cite you with a misdemeanor. When will the scooters return to Meridian? They would return in mid-March, at the earliest.